I love my pho­tog­ra­phy mag­a­zines that arrive each month that allow me to see what oth­er pho­tog­ra­phers are doing to run a suc­cess­ful busi­ness. Although I always strive to be unique, it’s always good to know what oth­ers are doing to sur­vive these eco­nom­ic times. I was intrigued by an arti­cle of a pho­tog­ra­ph­er who’s entire busi­ness is built on fam­i­ly vaca­tion por­traits on the beach, while cap­tur­ing the tourist that vis­it the town. It makes me won­der.….…. Hum­mm! 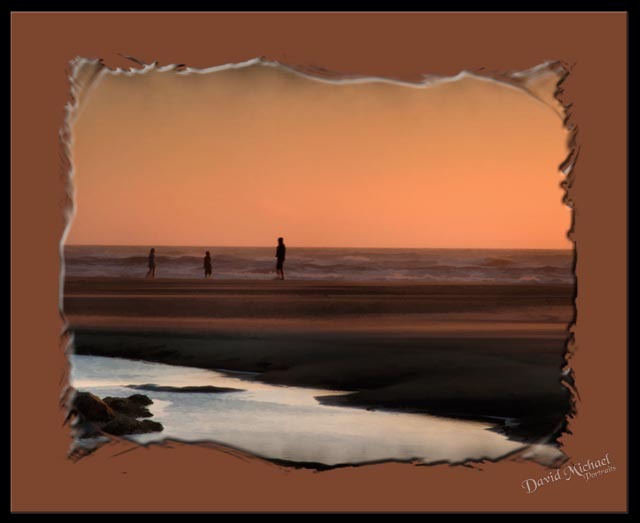 This entry was posted in At the Beach and tagged Beach Photography, Florence Oregon Photography, Oregon Coast Landscape Photos. Bookmark the permalink. THAT is a BRILLIANT idea spin­ning around in your head, Dave! Because think about it. Peo­ple on vaca­tion there most like­ly had no idea under the sun that your neck of the woods was as breath­tak­ing­ly beau­ti­ful as it is — so what a way to cap­i­tal­ize on most people’s propen­si­ty to think they can take a cheap(ish) point and shoot cam­era and real­ly do jus­tice to their mag­i­cal mem­o­ries! Butttt… won­der how you’d get mon­ey up front from peo­ple spend­ing all their mon­ey on a vaca­tion. But, it sounds like you are real­ly on to some­thing!